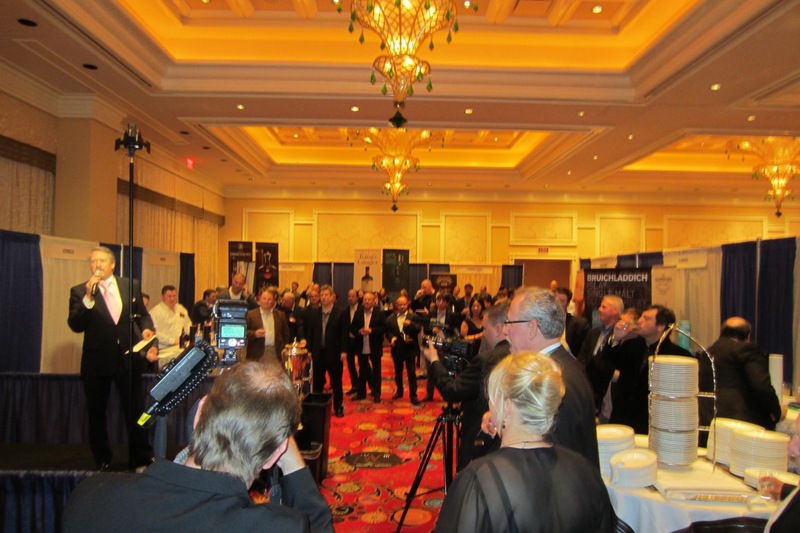 This past weekend, I had the ridiculously indulgent pleasure of attending the Nth 2012 Ultimate Whisky Experience in Las Vegas. It was so indulgent, in fact, that it’s taken me a fully week of penance, alms to the poor, and hanging out with lepers to recover enough to write about it–and I’m an atheist. Not only did I have the chance to sample a huge variety of whiskies I’d never tried before, but I also failed to get to another huge variety of other whiskies that I’d never tried. And when I did a back-of-the-napkin tally of the ages of the various whiskies I actually did try, I realized that I’d partaken of at least several lifetimes’ worth of years of whisky maturation before the weekend was out. 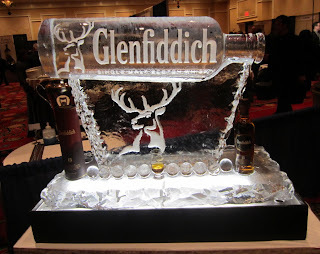 The first night of festivities featured a special event (really, a seminar) on one of several interesting topics of my choice (one on Investing in Scotch, one on the recreation of The Shackleton Whisky, and one on cigars and whisky pairings). I chose the one on Scotch whisky as an investment, not because I have the disposable income or savvy to invest in bottles of IGS (Investment Grade Scotch), but because I knew about the Shackleton and just wasn’t that interested in getting smelly so early in the evening. But nonetheless, Andy Simpson‘s presentation was absolutely fascinating and made me think long and hard about trying to cobble together some extra dough to put into a couple of choice bottles. Immediately after the special events came the main event. It ran from 5:30-9:00 and the room was not terribly full or crowded, even though the event sold out. What that meant was that unlike some other whisky events, there was a lot of room to move and a lot of time to linger over the amazing whiskies, many of which were rare, limited editions, or 21 years old and up (with somewhere around a dozen 40 year-old whiskies available, many as super pours). Everyone also had a lot of access to the brand ambassadors and whisky folks. In that vein, it was great to see Mitch Bechard from Glenfiddich, Jonathan Bray from Purple Valley, the inimitable Richard Paterson, and Scott Tallon at the Bruichladdich table. It was also tremendous to meet Mahesh and Mit Patel (the geniuses behind the UWE), Sam Simmons from Balvenie (finally! ), John DuPont from the Edrington Group, George Grant from Glenfarclas, and many others. And to give you some flavor of the feel of the main event, Richard Paterson was the quintessential showman he always is, but he ended up firing off confetti cannons at least four different times throughout the night as he joyously walked individuals through his whiskies. Clocking in at four Paterson confetti cannons, this event ranks as legendary: I have it on good authority that there have been at most two five Paterson confetti cannon nights–and rumor has it that Paterson’s wedding night was one of them [Bill: That’s what she said!]. Whisky highlights for me included (and this is just to name a few) the Balvenie Tun 1401, the Balvenie 30, the HP 30 (one of my all-time favorites), an Ardbeg from 1972 (one of my super pours), the Black Adder Smoking Islay, the Glenrothes Editor’s Cask, the Octomore Comus, the Glenfarclas 40, and the Sirius Dalmore 1967. But this Impostor had a hard time keeping his head from spinning during the event–not from the alcohol, but rather from the dizzying array of amazing and rare whiskies on offer. The dinner afterwards was tasty and welcome, though some of my fellow participants were not as satisfied with it as I was. I would have preferred the dinner occur between the special event/seminar and the main event, just to have better opportunity to lay down a base layer of food, but I could imagine how the participants have a hard time dealing with their anticipation of the main event if they’d done it that way. The Saturday master classes started at noon and ran until 5:30pm, and they gave me an opportunity to try many great whiskies that I hadn’t been able to get to the night before. They also gave me the opportunity to taste a range of whiskies from a given brand or bottler up against each other. For those of you considering this event in the future, be advised: you need to sign up for these (and pay for each one) in advance. I say that because most sold out, and many good ones sold out before I realized I needed to do that. Nonetheless, I attended tremendous master classes by Springbank, Classic Malts, Fettercairn, and Duncan Taylor. Each of these included very special and very old and hard to find whiskies: the Classic Malts one included the Johnnie Walker Blue King George V, the Glen Spey 21, and the Lagavulin 12; the Fettercairn one included the 24, 30, and 40 year old expressions; and the Duncan Taylor included the Black Bull 40, a 1969 Bunnahabhain, a 1965 Tomatin, a 1967 Strathisla–and they even let me try a 1969 Macallan afterwards. The money I spent on these master classes was well worth it. 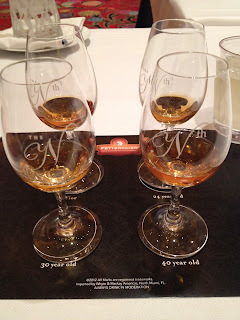 Finally, I should note that the people I met at this event who were participants like me tended to occupy a somewhat different part of the whisky world than I am used to meeting at whisky events and festivals. I say “somewhat” different because there were bloggers (William Meyers), whisky writers (Dominic Roskrow, Richard Carleton Hacker–and William Meyers fits in here, too), whisky enthusiasts (Matthew Lurin–and Bill Meyers), whisky saloon proprietors and advisors (Bill Thomas, Harvey Fry, and Roberto Cofiño of Jack Rose), and whisky retailers in attendance (Joe Howell from Federal Wine and Spirits in Boston and Pat McCarthy from Bayway World of Liquor). But the difference was that many more of the participants had an interest in or were seriously involved with whisky collecting. Talking with these folks gave me a new perspective on the whisky world–in no small part because these whisky lovers, more than most, put their money where their mouths are. 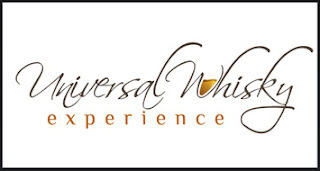 Overall, the event was fantastic, and the offerings represent a great value for the whisky lover, even at the High Roller level, if you can afford it. I never thought I’d say that, but I spoke with a few of those who had bought the higher level tickets, and they all raved about how much they thought the event was worth it–and they offered me arguments for their position. And on the merits, I’m convinced.